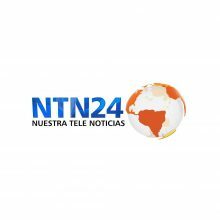 NTN24 is a Colombian free-to-air television news channel, owned by Grupo RCN and operated by RCN Television. NTN24 broadcasts throughout the American continent, from Canada to Argentina. Currently, it reaches more than 40 million viewers through cable and satellite operators in more than 22 countries. NTN24 transmits from its studios in Washington, New York, Miami, and Los Angeles and its international news center and agencies in Bogotá and Caracas.